Reginald Pole, diplomat, friend of scholars, cardinals and artists, and cousin to Henry VIII, is first seen stealing into the Medici Chapel at dead of night to catch a forbidden glimpse of Michelangelo's masterpiece of funerary sculpture. But as the King's representative in Italy, and an admired scholar himself, it falls to him to make the case for Henry's divorce from Katherine of Aragon. And it falls to the hapless Michael Throckmorton to become Thomas Cromwell's courier to Pole in Rome. 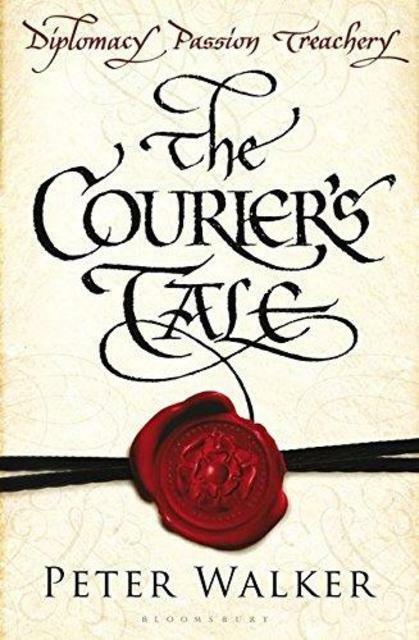 In Peter Walker's imaginative novel, in which two worlds, increasingly opposed, are beautifully evoked, we see these famous events that saw England become a Protestant nation through the eyes of the luckless courier. The dubious privilege of being courier to Cromwell and the King, makes Michael Throckmorton's life a tragicomedy of endless journeys back and forth between England and Italy. And even though in time he becomes the loyal friend of the disgraced Pole, who can never risk returning to England while Henry lives, this is no compensation for the childhood love who appears to have been lost along the way.